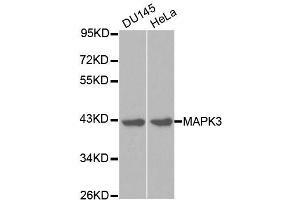 Western blot analysis of extracts of various cell lines, using MAPK3 antibody. 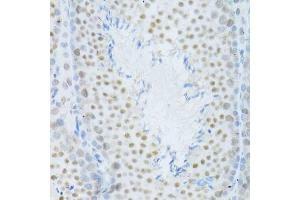 Immunohistochemistry of paraffin-embedded rat kidney using MAPK3 Antibody. 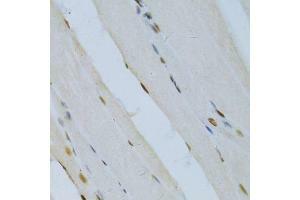 Immunohistochemistry of paraffin-embedded rat heart using MAPK3 Antibody. 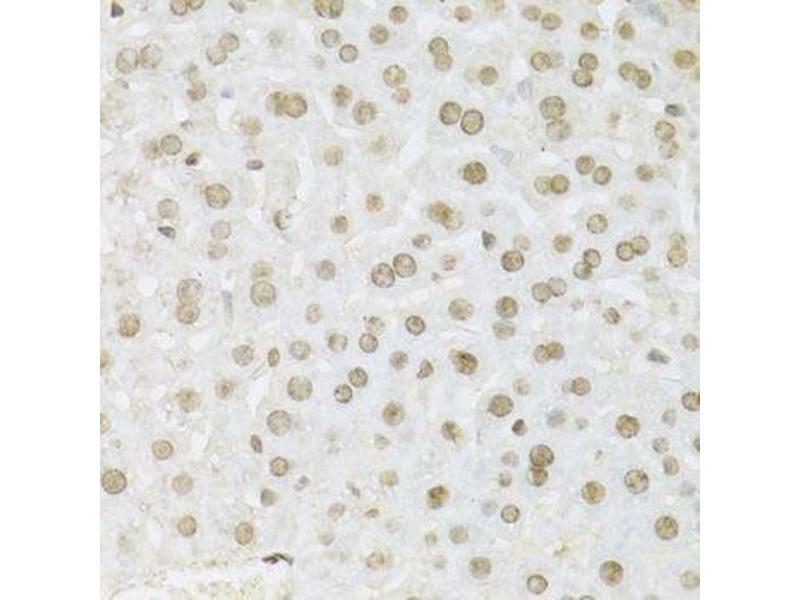 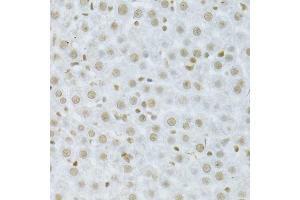 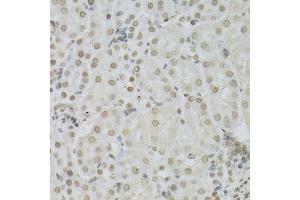 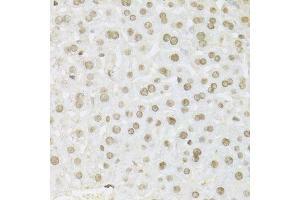 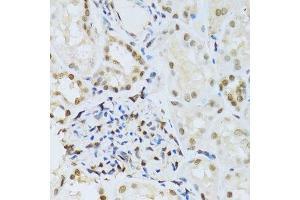 Immunohistochemistry of paraffin-embedded human kidney using MAPK3 Antibody. 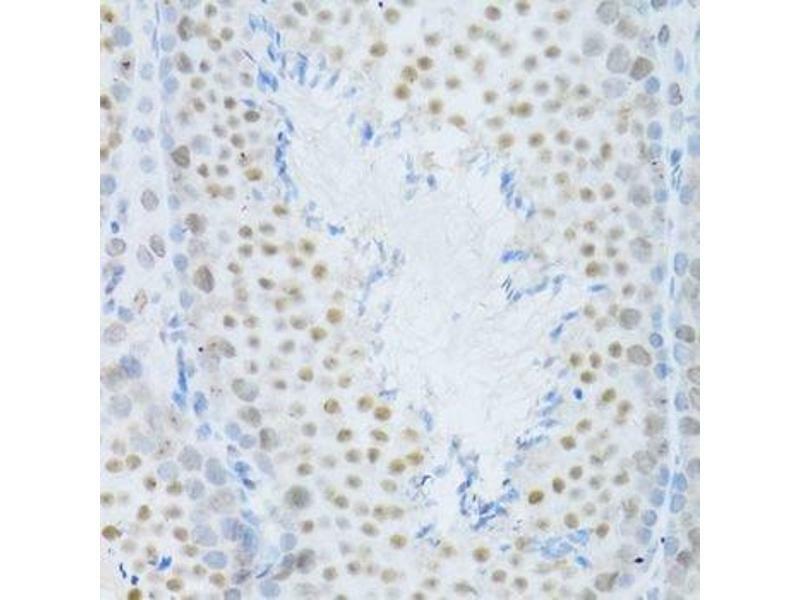 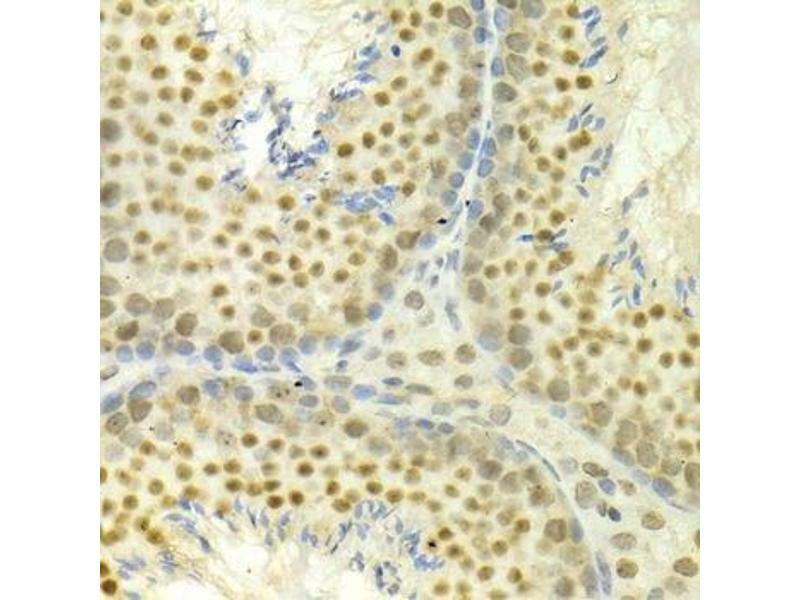 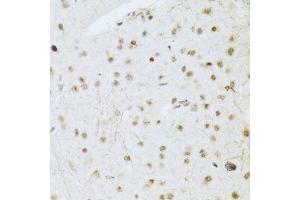 Immunohistochemistry of paraffin-embedded mouse testis using MAPK3 Antibody. 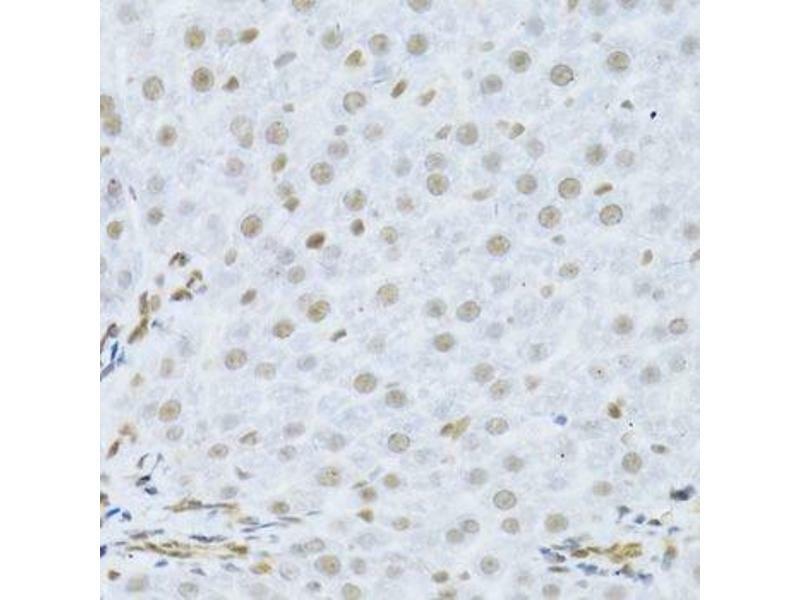 Background Erk3, also known as MAPK6 or p97 MAPK, is almost 50 % identical to Erk1/2 at the kinase domain located in its amino-terminal region. 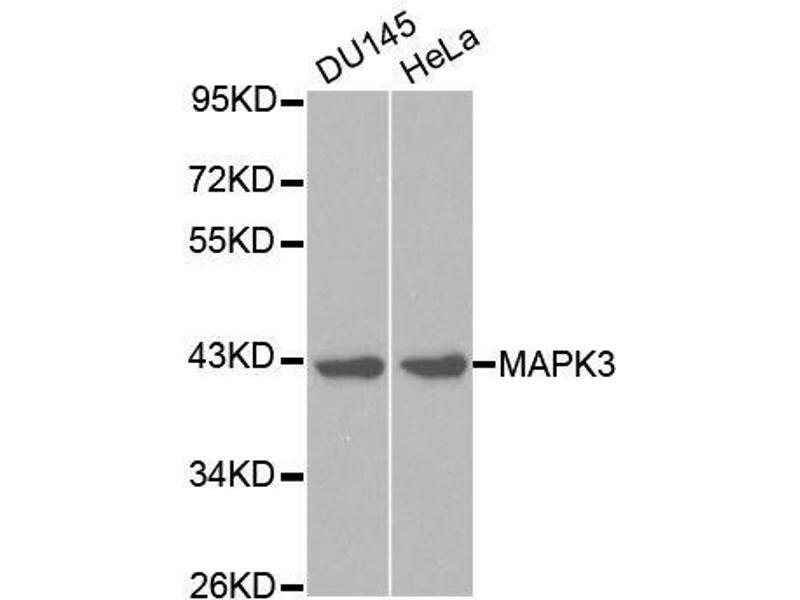 However, Erk3 is distinguished from other MAP kinases in that it lacks the conserved TXY motif in its activation loop, possessing instead an SEG motif. 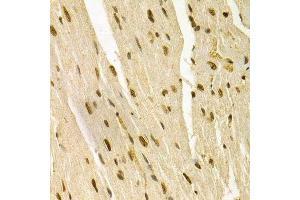 Phosphorylation at Ser189 in the SEG motif has been reported. 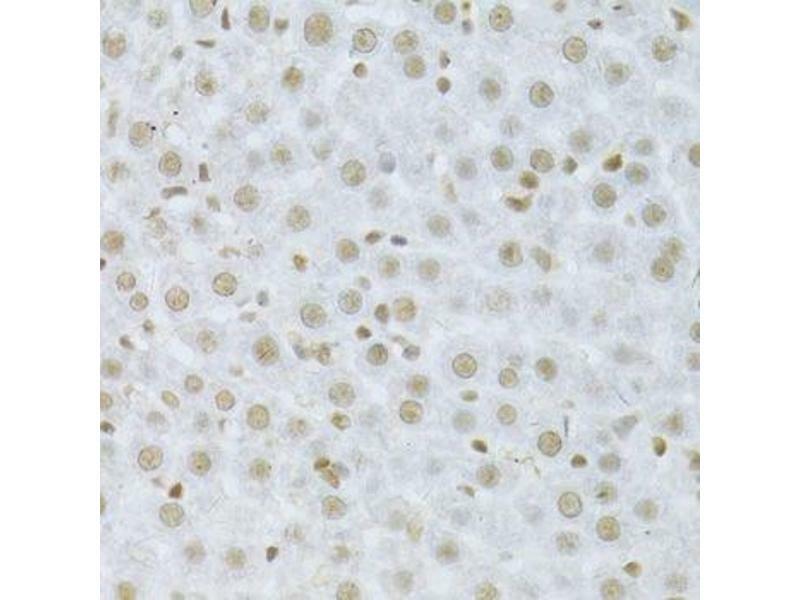 With limited information about its upstream kinases and downstream substrates, the significance of this phosphorylation remains to be elucidated. 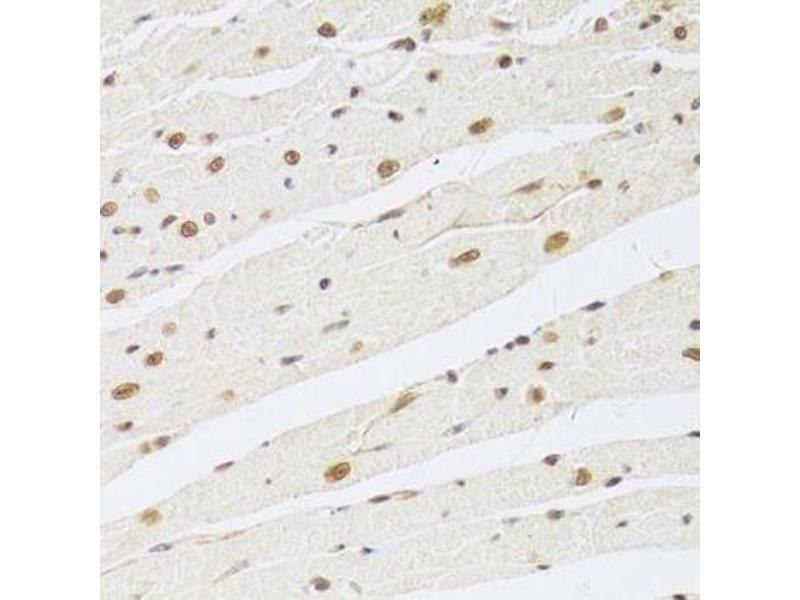 Erk3 is an inherently unstable protein, rapidly degraded through amino-terminal ubiquitination and proteasome degradation. 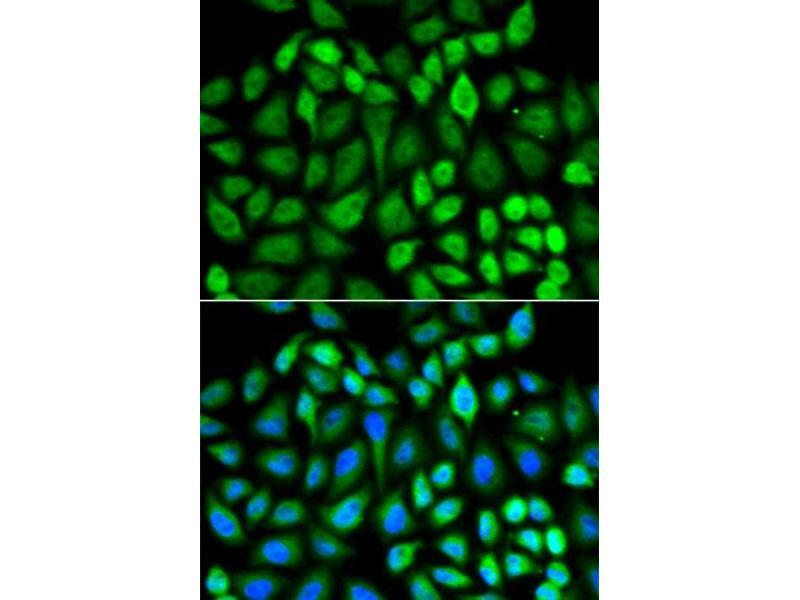 A site-specific cleavage, depending on a short stretch of acidic residues of Erk3, might regulate its translocation from the Golgi/ERGIC to the nucleus during the cell cycle. 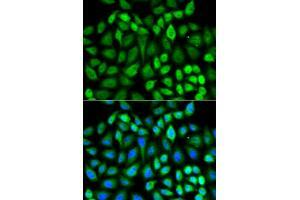 Accumulating evidence suggests that Erk3 is involved in cell differentiation. 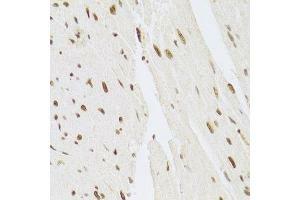 Immunohistochemistry of paraffin-embedded mouse heart using MAPK3 Antibody. 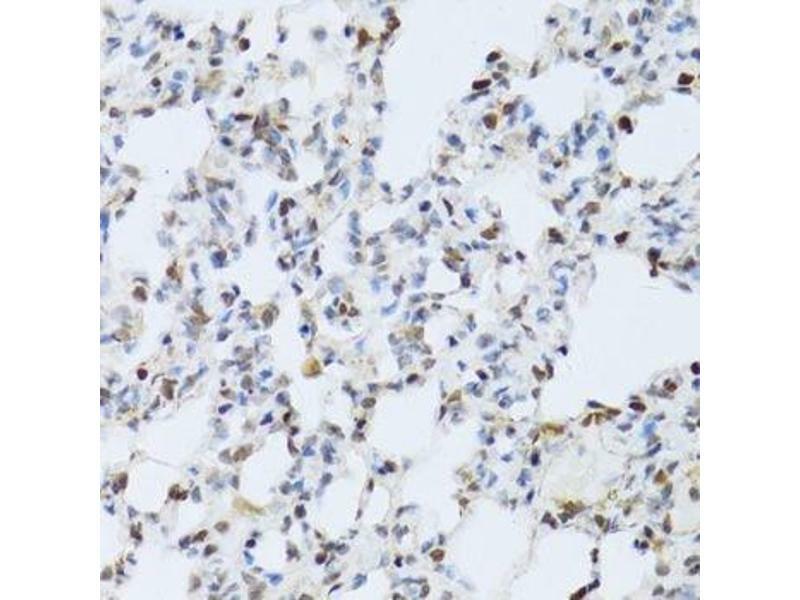 Immunohistochemistry of paraffin-embedded rat lung using MAPK3 Antibody. 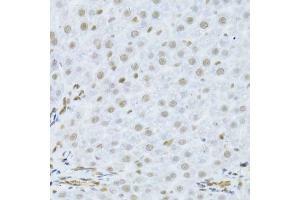 Immunohistochemistry of paraffin-embedded rat liver using MAPK3 Antibody. 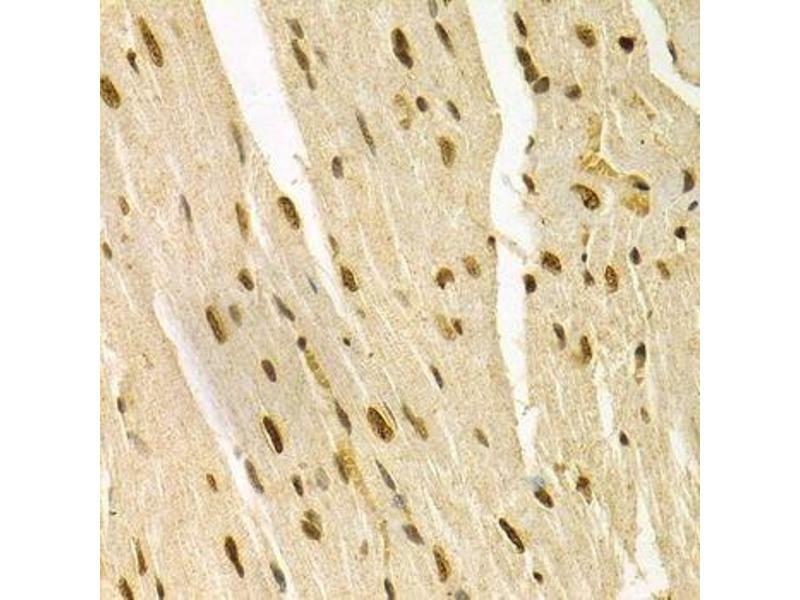 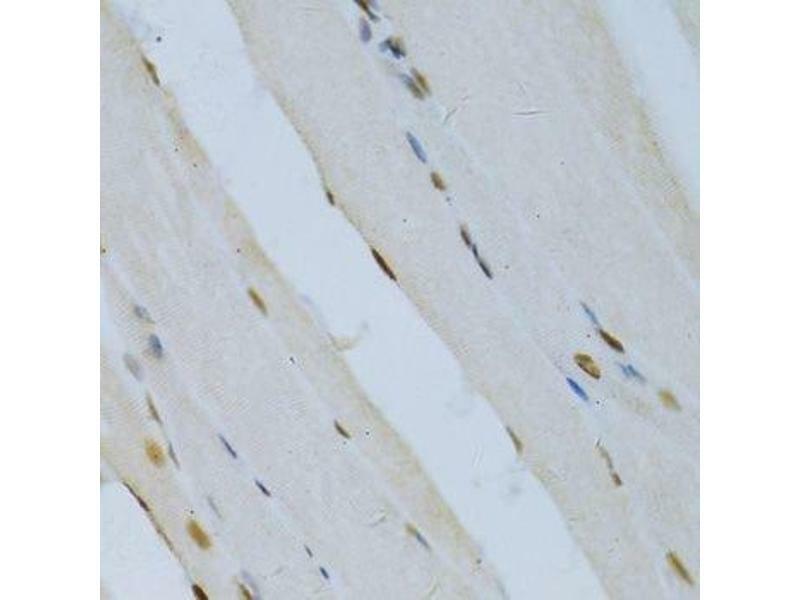 Immunohistochemistry of paraffin-embedded rat skeletal muscle using MAPK3 Antibody. 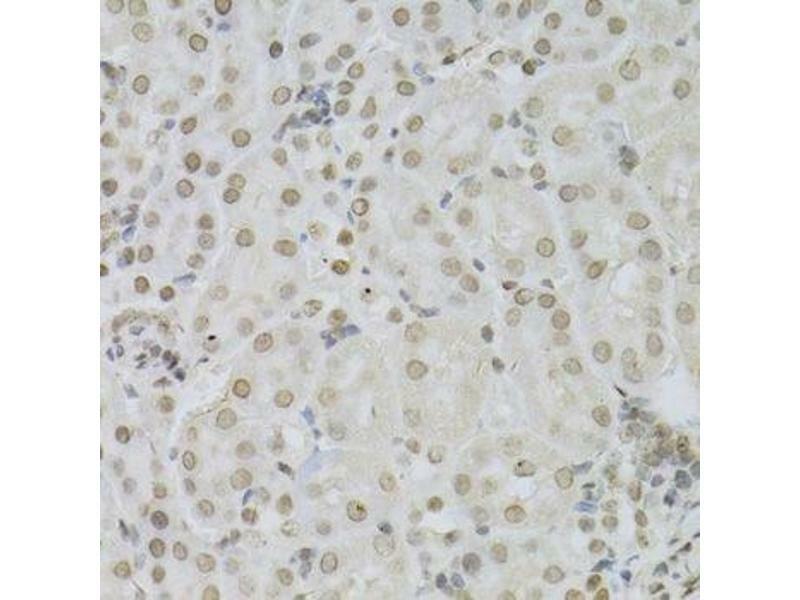 Immunohistochemistry of paraffin-embedded human liver using MAPK3 Antibody. 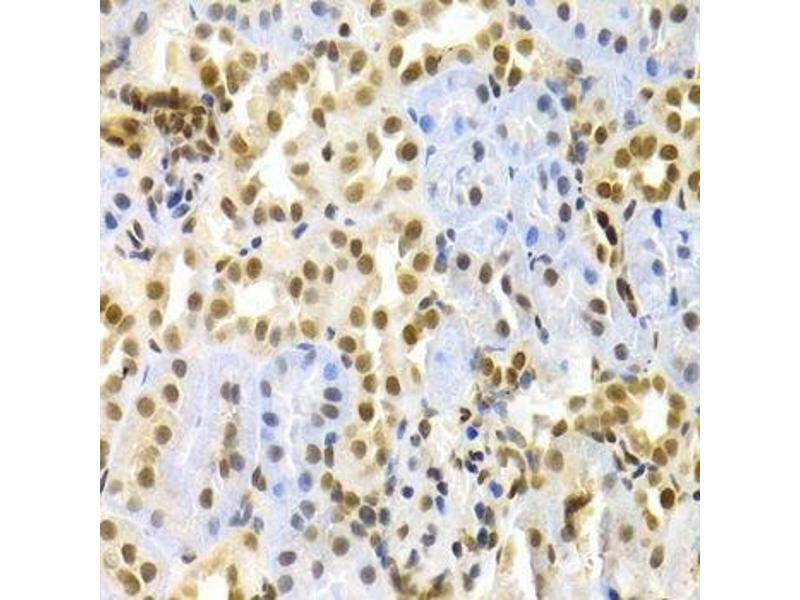 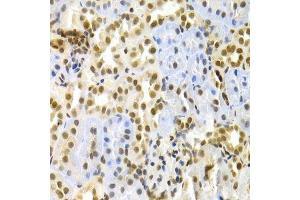 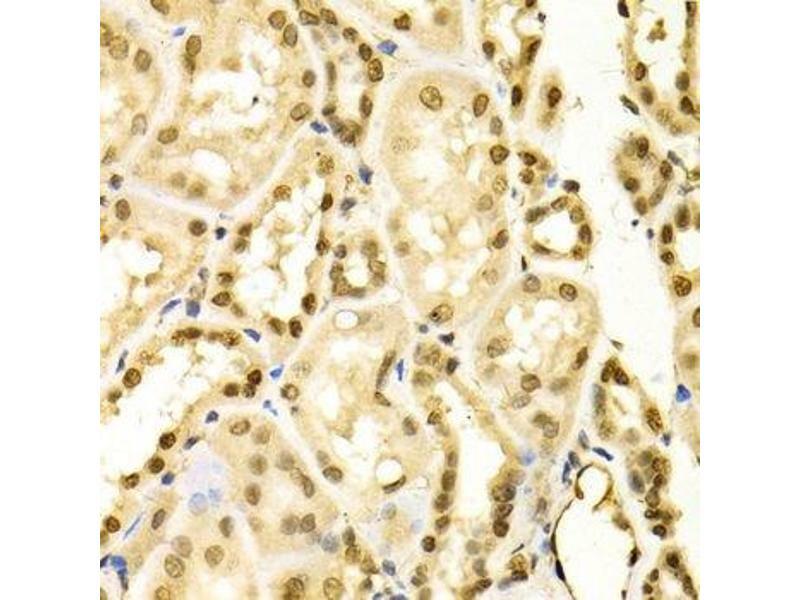 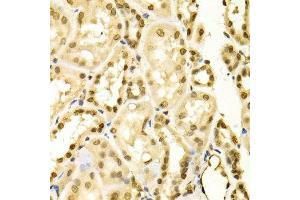 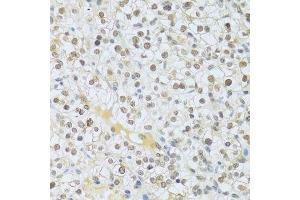 Immunohistochemistry of paraffin-embedded human kidney cancer using MAPK3 Antibody. 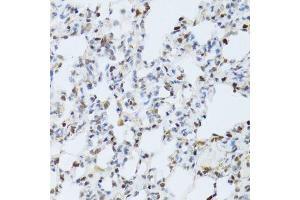 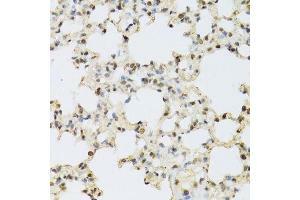 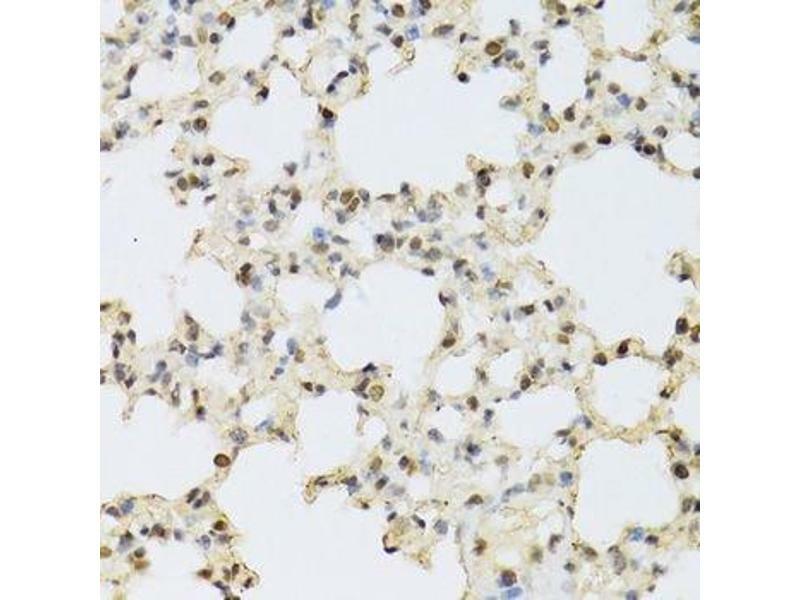 Immunohistochemistry of paraffin-embedded mouse lung using MAPK3 Antibody. 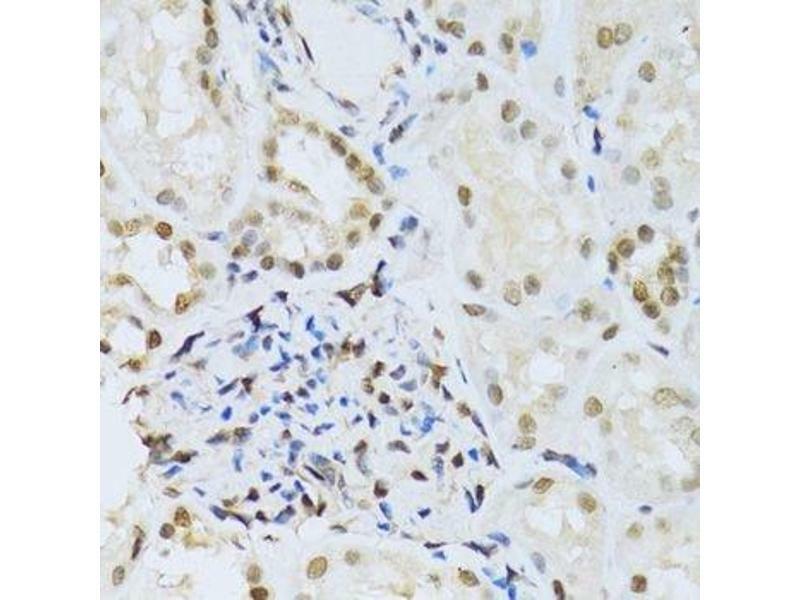 Immunohistochemistry of paraffin-embedded mouse liver using MAPK3 Antibody. 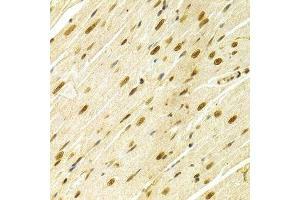 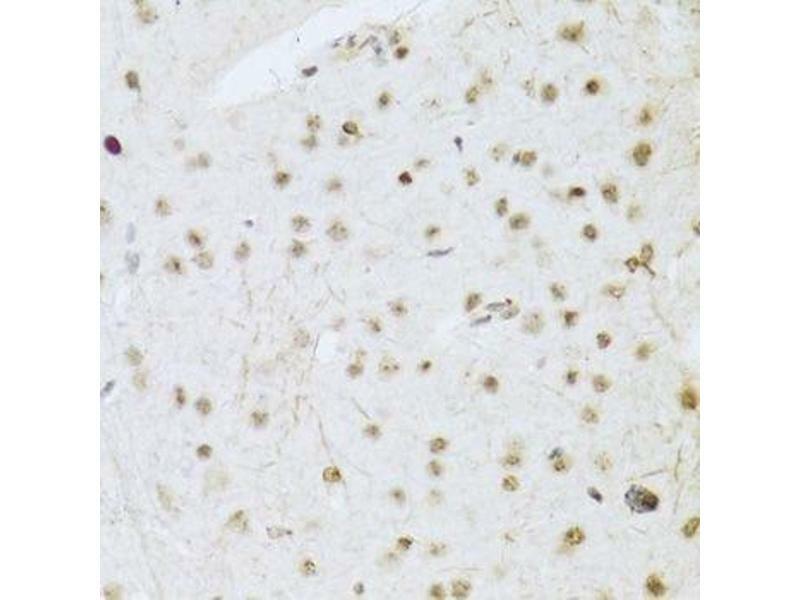 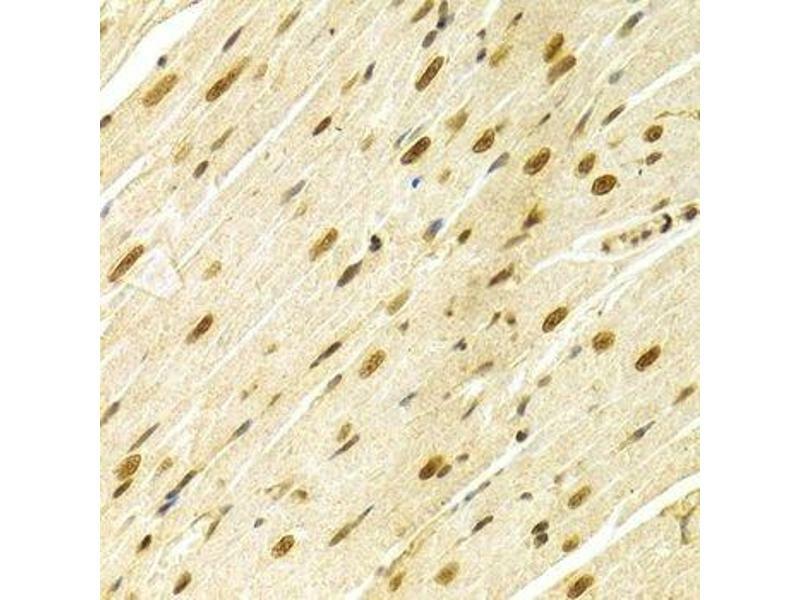 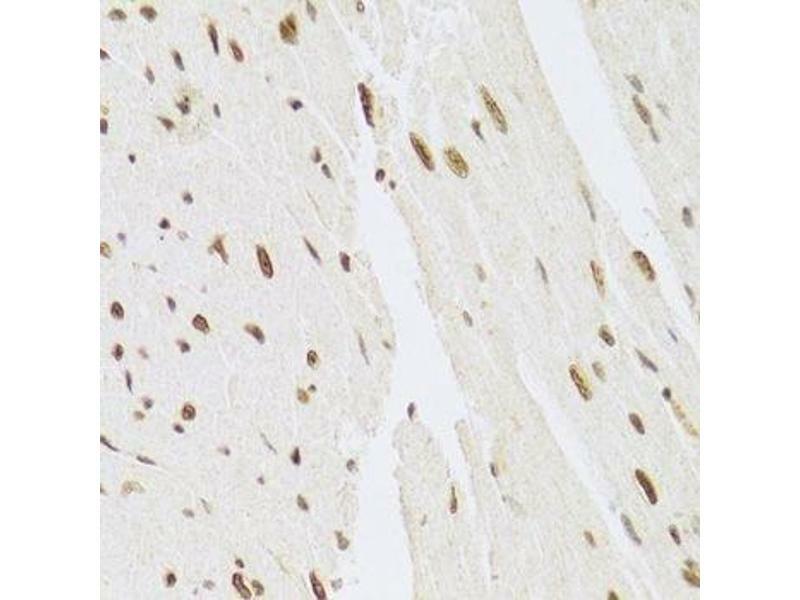 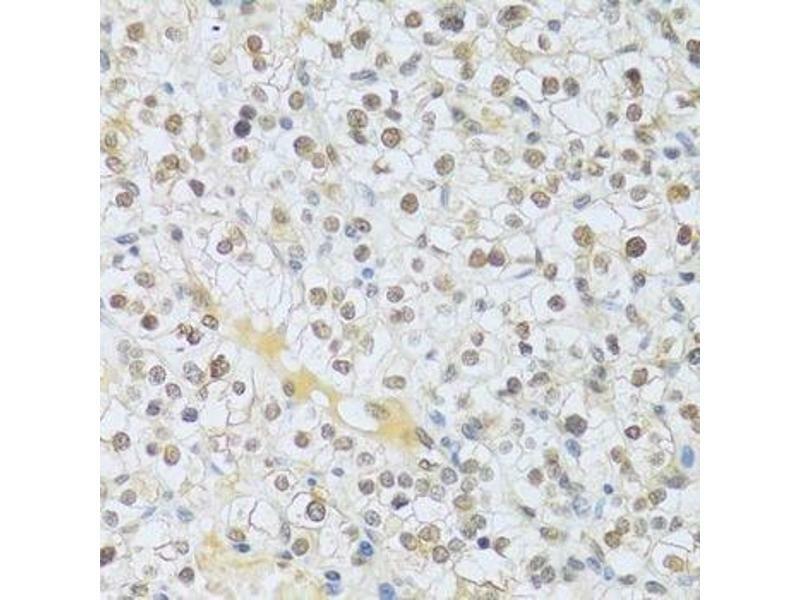 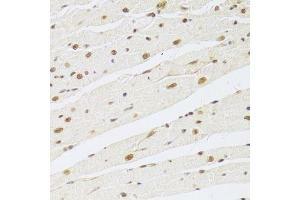 Immunohistochemistry of paraffin-embedded mouse brain using MAPK3 Antibody. 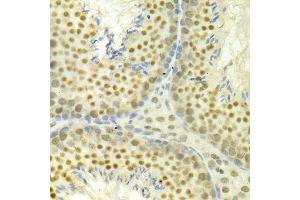 Immunohistochemistry of paraffin-embedded mouse kidney using MAPK3 Antibody.